Such is life, eh? I got distracted for a few days with crazy stuffs going on around me, so I’ll do two days today, and then go from there as I try to catch back up on the 21 days. Anywho… so day 10 is about shutting up your mind by way of journaling and meditation. Then, day 11 is about seeing it before you see it. Say what?!? Yeah – I know. Sounds crazy, but it’s about seeing it in your mind, before it shows up in your life. Got it? Good! I love the day 10 exercise because Kahtrin wanted us to meditate, but check in with ourselves before and after we do it too. I had long avoided the idea of meditation because I thought it was silly, and I could never focus enough to actually do it. Then, I found guided meditations…let me tell you -HUGE GAME CHANGER!!! I REALLY enjoy guided meditations. I use a combination of apps, Youtube, various websites, etc… to find guided meditations that work for me. One app I’m obsessed with is Insight Timer. It’s free for Android and iOS phones, and has loads of various meditations for everything from helping you get more restful sleep to manifesting more money, and creating more confidence to forgiveness exercises. If you struggle with keeping focused while meditating, I highly recommend trying guided meditations. 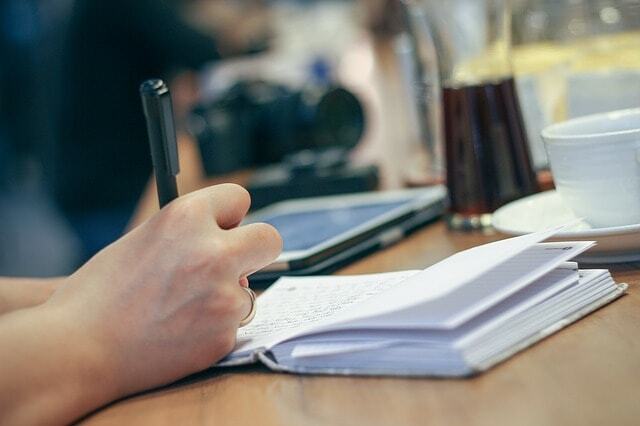 As for journaling – I don’t do that nearly as often as I wish I did. I get very distracted with it, and it end up being more of a word vomit page than anything focused. Still, even doing the word vomit helps me a lot because it gets everything out of my head and onto the page so that I can focus on the things I really need to do that day! I do enjoy focused journaling too though where you are given a specific topic and you journal on that. I often look on Pinterest for journal prompts when I want to go beyond the word vomit. haha! Day 11 was all about visualization. I struggle with this a lot. I think it’s in large part due to the same things that cause me trouble with meditation and journaling- and that is lack of focus. My distraction gene is strong! SQUIRREL! So, even for visualization, I have to have something to focus on. What I do for that is again go to Pinterest. I have boards set up for my dreams and I look at them and study them and focus on them, in order to get the visions in my brain. Whatever works, right? Welp, that’s all for days 10 and 11 – tomorrow I’ll try and do days 12 and 13, then the next day I’ll do days 14 and 15 to be all caught up. Whether or not I actually do it – I guess that part is still to be determined. haha! Day 9 is about affirmations. The one that Kathrin uses is “Money is all around me. I find money everywhere. It flows effortless into my life on a daily basis.” Them she gave us more than 20 additional affirmations we can use to feel more abundant. Our money babe action of the day was to choose 3 of the ones she gave us to commit to and affirm our money truth with. Rather than tell you the ones I’m committing to from her list, I’m sharing the affirmations I repeat to myself as often as I feel I need them. I have a wildly popular podcast, Youtube Channel and blog! I can afford to give money to worthy causes every month! Every month I can spend time learning, and I can afford to pay for the classes and conferences I want to go to. I am making more money every day! I hope these affirmations inspire you to come up with some of your own. And, I read the coolest idea for boosting your manifesting game. It said to record your affirmations on your phone from a place of “I am” and having the things you want in the present tense. Supposedly hearing your affirmations repeated to yourself in your own voice frequently, makes your mind more willing to believe it. Day 8 is a treasure hunt. The idea behind the treasure hunt is that what you look for expands. So, for the first part of the day’s exercise, you’re supposed to look for money all around you. The goal is to see just how abundant the Universe is. Then, the second part is a brainstorming exercise. I’ve done the treasure hunt exercise many times, and always to pretty positive results. I know this world is filled with money, and abundance that goes beyond money. I am so grateful and thankful now that money surrounds me, money is everywhere, and money effortlessly flows into my life all day, every day. My heart’s deep desire is to earn $10,000 profit every single month or more, consistently. And, I believe that it’s possible for that to be my reality, even though I don’t know how right now. I have decided that this amount of money will be my new normal. How can I earn more money? Kathrin wants us to brainstorm a list of just 10 ways today. When I’ve done this exercise in the past the challenge was to get 50 ways on the page. I always stumble around item 30. It feels difficult sometimes to come up with a bunch of ways to make money. BUT! I LOVE how expansive I feel when I complete this exercise. Create packages for my ghostwriting clients that includes more than just the ghostwritten blog posts to increase the amount I earn with each transaction – add social media, image curation, and scheduling their blog posts. Sell my car and start bicycling everywhere, and ubering when I need to go a further distance. Not a good idea in the long run, and I wouldn’t actually do this – but would certainly yield instant income. Kathrin encourages us to take time off from the negativity in our lives that isn’t serving us. So, I unfollowed pages that bring me down, and I unfriended and/or unfollowed people that constantly post sad or maddening things. I already have been on a negativity detox honestly. I’ve not watched the news in a couple of years now. In fact, when people bring up stories that are trending in the media, I’m typically lost because I have no idea what is going on in the world. On one hand, I worry sometimes that I’m becoming too ignorant. On the other, I’m happier avoiding all the sadness. I’m becoming quite protective of my heart and emotions. Crazy thing though – the more I cut out negativity, the more it hurts when I come upon it. My husband says I look for the negative too much, and the truth is I expect bad things far too often. But, I’m working on it because I don’t want that to be my reality any more. I want positivity, joy, happiness, and calm. And that’s okay. So, I’ll keep living in as much bliss as possible, and try to avoid my old ways of seeking out negativity. Gimme all the positive vibes please. They are so much more pleasurable after all. What negative things are in your life that you can control, and cut out? It sure is interesting to ponder this and then start removing the darkness from your life. It’s actually becoming a new addiction for me. And, I love it! Too often we get so hung up in “how will I acquire my dream income?” And that causes us to never get the money at all. Would you ever doubt whether or not your order at a restaurant was coming to you? No. As such you should expect the Universe has taken your order of achieving an extra $1,000, and is working on moving all things through time and space to make that money come to you quickly and easily. The idea of letting go of the how, is that money you desire can come from completely unexpected way. You might never anticipate the random way that an additional $1,000 can come into your life. Kathrin’s way of detaching yourself from the how? Finding something fun to do. She suggested thinking about 5 things that make you happy when you spend time doing them, and then doing the 1 thing that sticks out the most to you. Given the fact that most of the things on my list are things I currently can not do for one reason or another – I chose playing with my dogs, watching a movie, and eating a seriously delicious meal. Now – I know this was 3 things, but sooooooooooo many things are enjoyable to me. And, this just felt like the perfect set of activities to distract me from what I want so I could focus completely on having fun. Day 2 – Man oh man! Didn’t expect to cry as much as I did in today’s challenge, but wowza! I feel amazing right now! For day 2, the challenge was all about forgiveness. The idea is that you should completely forgive yourself, and everyone and everything from your past that has been negative until now. For what I consider obvious reasons I’m not going to share my full forgiveness list publicly. However, I do want to acknowledge how much lighter I feel after doing just 30 minutes of forgiveness work. Things that I thought didn’t bother me anymore, came up unexpectedly during this exercise. I cried a lot more than I planned, but when I was finished I felt so much love and happiness towards myself and everyone on my list. I hope that now I can truly move on from the things that were on my list. Letting them go feels freeing. I definitely want to work more on forgiveness. I know that by forgiving others and myself I can clear the space in my heart and in my mind that I need to bring my goals and dreams into realities. I want to be clear of negativity as much as possible. If you’re reading this right now, I love you. I’m sending you love and positive vibes and the hope that all of your dreams come true. I’m rooting for you and I want to see you succeed. here’s to our manifestation of everything we’ve ever wanted! for Day One, Manifestation Babe wanted us to start clearing out the crap. As with many manifestation readings and videos I’ve encountered, decluttering is a great way to clear the space for the new. She told us to start with just our wallet and the space we spend the most time in. She recognizes we can’t do our entire homes in one day. Thank goodness! Now that I’ve cleaned out my wallet I feel a little bit better. Then again, I also was a little bit annoyed because I realized that I had coupons in my wallet that I forgot about and let expire. But I guess that just proves that I need to clean out my wallet a little more frequently. I did make a few other discoveries hiding in my wallet that made me excited. I found a couple of gift cards that I can use to go out to eat with my husband, and I found 4 free movie tickets that we can use for a couple of date nights. So now we just need to schedule some nights out with each other, which I do confess I’m looking forward to. I just LOVE spending time out with my hubby! I handle most of my finances from my home office. Now that I’ve cleaned that area out, it does feel a little bit more organized. I feel like the spot is a little less chaotic. but, it also looks really bare. Haha! I guess that’s to be expected whenever you clean an area out. I do want to clean out the rest of my apartment as well. I definitely want to organize my entire living space as well, and give everything a place where it goes . Nothing frustrates me more then not being able to find what I’m looking for what I’m looking for it. The main area that I spend the most time in is my home office. The other space that I spend time in is my living room. And, I did clean a lot of the crap out that was in the living room too, but again I seriously need to declutter a lot more. I definitely feel lighter, happier, and able to breathe easier when my space is clean and clutter-free. However the thing that frustrates me is the difficulty in maintaining the cleanliness. I find what generally happens is I spend a bunch of time cleaning, and then I don’t stick to putting everything back where it belongs. What I would definitely like to have happen in my “Rich Babe” mind, is to clean my entire space and then manifest enough money to hire a housekeeper. That way someone else will be responsible for putting everything away and I can just focus I’m doing the things that I actually want to do. Of course, I’m pretty sure I’m getting ahead of myself. Therefore, I’ll just focus on these 21 days first and see where they take me. Day Zero – Pre Challenge Questions! 1. Why are you here? What inspired you to start this journey? What inspired me to start this journey is the fact that I’m frustrated with my current financial situation. Every single time that I start to get into a positive mindset and believe that things are going to change, I go right back into my old way of thinking, my old way of acting, and I sabotage myself every step of the way. 2. What are you ready to shift when it comes to your finances? I’m ready to shift my beliefs about how many has to be difficult. I’m ready to step into the flow and find the path of least resistance. For me, the reality is that I’m not getting any younger, and I don’t want to be facing another year, facing another January and still looking at the same numbers. I want to start seeing my debts go down, and my income and net worth go up. 4. On a scale of 1 to 10, how committed are you to radically transforming your money story over the next 21 days? I feel like I am 100% committed to changing and transforming my money story over the next 21 days. They say it takes 21 days to make a habit, and I would sure like to make earning more income my new habit for 2019. 5. How would it feel to manifest an extra $1,000 within the next 21 day period? 6. What would you do with the money and why? To be honest I would use it to pay down my debts. I really want this year to finally be the year that I start getting closer to or even finally becoming being debt-free. I know that having unleveraged debt feels very imprisoning. I want to feel free, and I truly believe the only way for that to happen is for me to finally get my unleveraged debt number to 0. 7. When do you plan to sit down, open up each lesson, and do the necessary work required? Commitment is key here! Give an exact time of day. I think for me the best thing would be to commit to doing it as soon as I finish eating breakfast everyday. 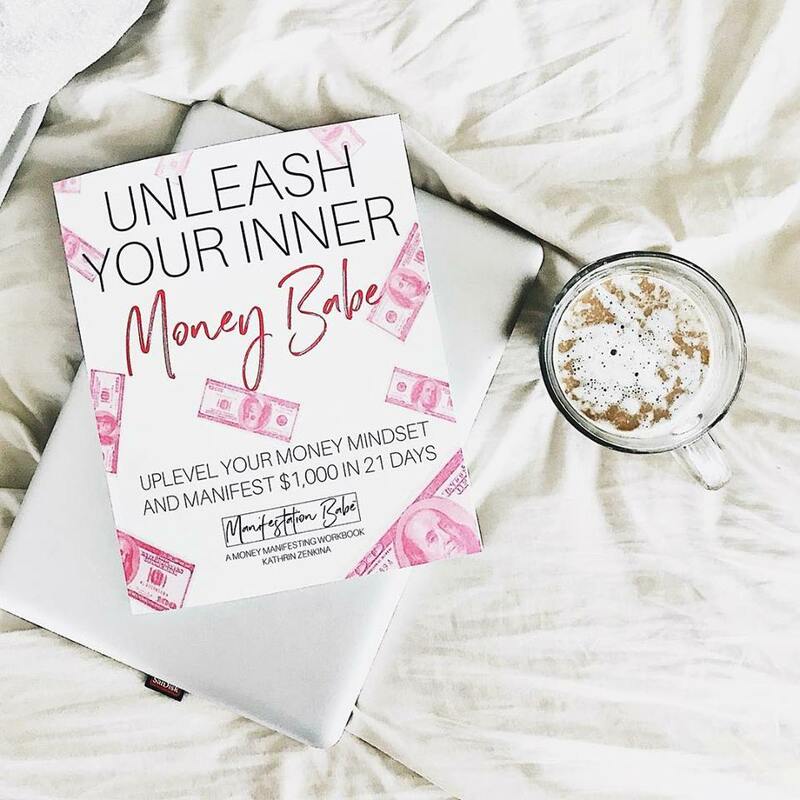 I think it would be the best way to start off my day because then I would be thinking about the shift necessary to get into a positive money mindset. And what better way to start each day and to be in a positive money mindset? So yes, I’ll commit to doing it every day right after I eat breakfast.